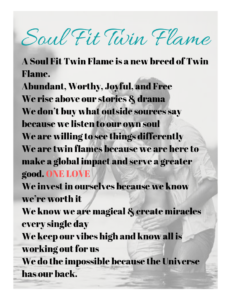 A Soul Fit Twin Flame is a new breed of Twin Flame. We do the impossible because the Universe has our back. Oh wow small world she lives in my city! I’m glad you reached out. Letting her go for now was probably right, and now you get to heal yourself and takes the steps back to harmonious union. You can do this! Like you said it’s never goodbye, but right now it’s time to work on you. It’s the soul work to be done. It’s so beautiful. 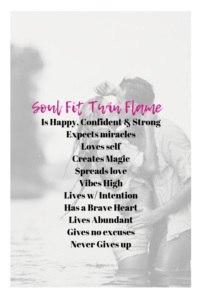 Have you downloaded my free Guide to happiness? That will help you, listen to the energy clearing daily and clear the energy.